This is it, guys. The NOPEiest NOPE we’ve ever seen in our lives! 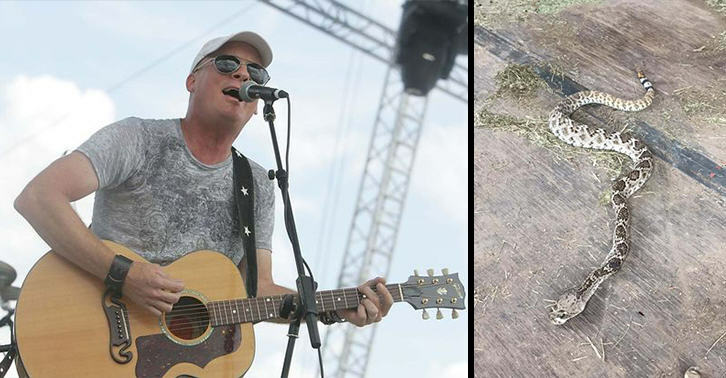 Country music star Kevin Fowler took to his Facebook page to share some absolutely grim images of his mate’s rattlesnake bite, after he came under fire on social media for killing the animal in his backyard. 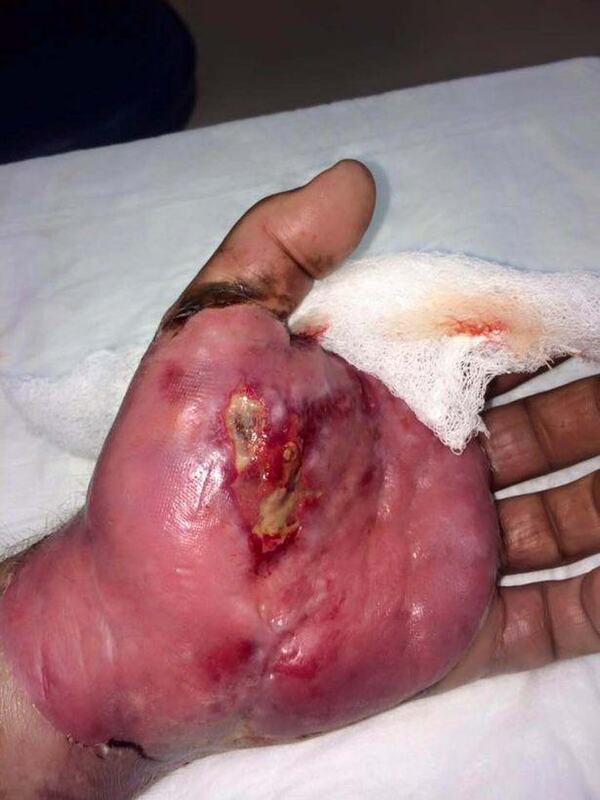 And these photos are as bad as it gets, showing his friend Tommy’s swollen, infected sore on his hand before and after it was popped. Seriously, don’t even consider looking at these if you’re eating! 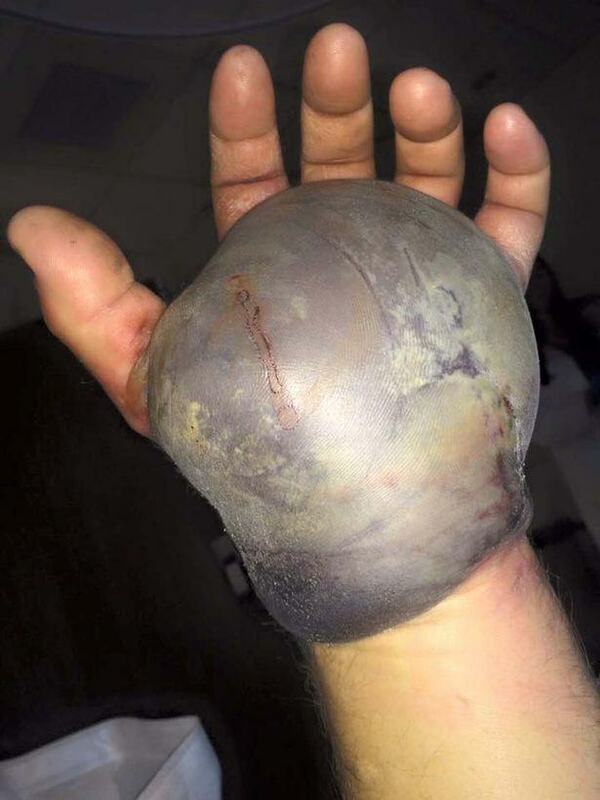 The first snap shows the humungous and horrific grey blister which formed in the aftermath of the snakebite, covering Tommy’s entire palm. The second shows the grisly aftermath of it being bathed in hot water and popped, with pus oozing out of the wound. Don’t mess with snakes, that much is clear! Users on social media weren’t happy that Fowler killed the rattlesnake in its own habitat, but Kevin defended the killing in a post on his Facebook page. Ran into this little fellow in my shed this week. Third one this month. All of you people who cry about folks killing rattlesnakes have probably never seen what it looks like when you get bit by one. The other two pics are of my buddy Tommy’s hand after getting bit last year. He’s still going through surgeries and rehab. All of you rattlesnake sympathizers will change your tune when your kid gets bit playing in your backyard. Rattlesnake bites aren’t fatal, provided they’re treated quickly and properly, although they can cause nasty injuries and, wow, have we just learned that in extremely vivid fashion!